Comic, brutal and certainly confrontational, the UK premiere of James Ijames’ White at St Cecelia’s Hall delivers a well-judged prod at the often unguarded underbelly of white liberal self-satisfaction. 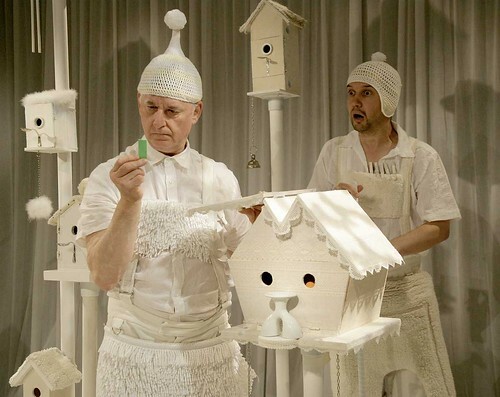 A new app based on White, the play for 2-4 year olds created by Andy Manley for Catherine Wheels, has been launched in collaboration with East Lothian company Hippotrix. Catherine Wheels’ White, the multi-award winning collaboration between Andy Manley, Shona Reppe and Gill Robertson has been nominated for a Unique Theatrical Experience award in the prestigious Drama Desk Awards in New York.